Adele was originally rescued by Auction Horses Rescue. They rehabilitated her and placed her in training but she proved to have some behavioral problems. AHR felt that she would be best in a herd/pasture setting as a sanctuary horse. They were concerned that her behavioral problems would be unsafe and a liability for potential adoptors. 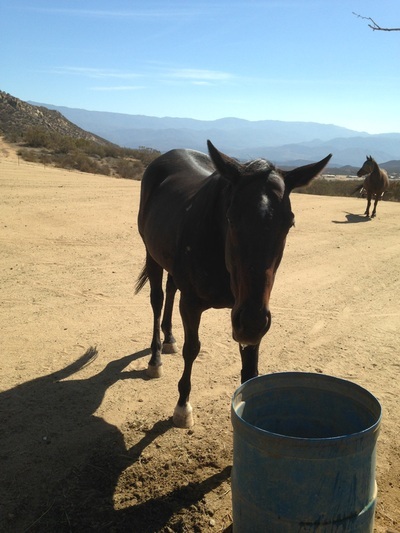 Thanks to Heather Barclay's monthly sponsorship, Adele is able to stay with us and just be a horse. Nothing is expected of her. She has become friends with Frank and Charlie.